Looking for a QUALITY horse? 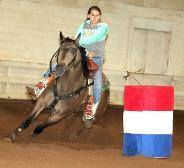 Barrel Racing & Pole Bending! competition, you'll find it here! Piedmont Triad International Airport in Greensboro, NC. the most successful monthly sale in the East!